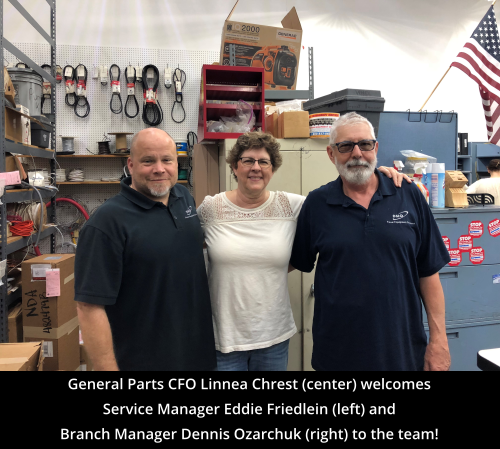 General Parts Group, a leading service provider and parts distributor to the commercial foodservice industry services the Cleveland area from its location at 8400 Sweet Valley Drive, Cleveland OH, 44125. Conveniently located off I-77 and I-480, General Parts Group – Cleveland is positioned to service from the Lakefront to western Pennsylvania. Emergency services: No matter the time of day, the need for nearly immediate commercial appliance repair is required for the benefit of your business. General Parts Group offers emergency repair 24 hours per day. Warranty: Our team respects the uniqueness of every commercial kitchen and the importance of providing effective service including a 90-day labor guarantee as a sign of our commitment. Personalized repair procedures: Our technicians recognize that every kitchen operation is unique, thus they take their differences into consideration when working with clients on creating planned maintenance programs. No matter the kind of food you are serving or the design of your kitchen, our services will ensure that all your requirements are met. Industry certified technicians: Our commercial appliance repair technicians are factory trained and industry-certified, possessing the knowledge and know-how needed to keep your kitchen top-notch. Hiring our experts guarantees you quality and effective services that are unmatched. Machine Shop Services: On site welding of most metals, machine shop and fabrication services are available from our Cleveland team. Equipment Installation: DMO has been known for its work installing equipment and hoods, and that will continue. When the time comes to replace equipment, whether it is commercial rooftop HVAC units or walk-in boxes our certified technicians can install most brands. Constant communication: At General Parts Group, we understand your need to be aware of everything that’s going on in your kitchen. Our an Automatic Status Update System ensures that you are kept in the loop when in comes to the repairs and procedures that we are conducting. Quality parts: Only O.E.M. replacement parts are used by our technician to repair equipment. If you prefer to conduct a repair yourself, visit our online parts store at GP-PartsDirect.com where you will find a vast inventory of O.E.M. parts and save on shipping by picking up your order from our Cleveland location. On-line Account Information: Our clients have access to their service history, lifecycle cost report and more via our Customer Portal, found on our website. Click here to request access.